Baruch Shub, testimony, Yad Vashem Museum Archives. https://www.yadvashem.org/yv/en/exhibitions/vilna/during/responses_to_the_murder.asp, accessed on July 16, 2013. Samuel D. Kassow, Who Will Write Our History? (London: Penguin Books, 2007), p. 306. Leyken, because of his height and his brutality, was called "the little Napoleon." Zivia Lubetkin, In the Days of Destruction and Revolt (Ghetto Fighter's House, 1979), p. 132. Lubetkin, In the Days of Destruction and Revolt, pp. 166-168. Edelman was born in 1921 in Warsaw. During the war he was a member of the Bund movement and, together with other members of the Bund, he joined the resistance in the Warsaw ghetto in November, 1942. He was one of the commanders of the Warsaw Ghetto Uprising. He survived the war and remained in Poland where he became a respected cardiologist and came to be considered a national hero for the work he did opposing Communist rule. He died in 2009 and was buried in Warsaw with full military honors. 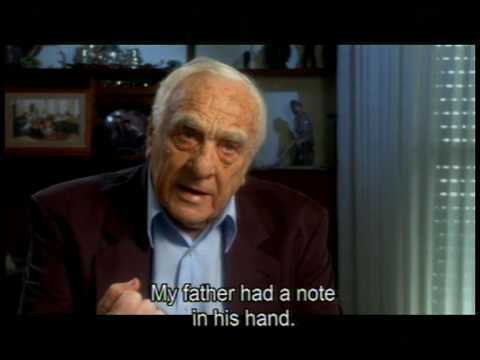 Hanna Krall, Shielding the Flame – An Intimate Conversation with Dr. Marek Edelman, the Last Surviving Leader of the Warsaw Ghetto Uprising, trans. Joanna Stasinska and Lawrence Weschler (New York: Henry Holt and Company, 1986), p. 63-64. Abba Kovner, The Complete Poems of Abba Kovner, Volume 1 (Heb. ), (Jerusalem: Mosad Bialik, 1996), p. 218. Dina Porat, Beyond the Reaches of our Soul, (Heb. ), (Tel Aviv: Am Oved, 2000), p. 164. The dire circumstances of life in the ghettos forced the ghetto residents to struggle for survival on a daily basis. Thousands died of hunger, cold, disease and overcrowding. Physical survival was the primary battle of the ghetto residents. Engaging in armed resistance was a different, and much more difficult, type of battle. Most ghetto residents, including infants, children, the elderly and the sick, had neither the will nor the strength required for armed resistance. Those who did attempt to engage in armed resistance had to find within themselves the extra determination, resolve and physical power to look further than their own private search for the necessities of life. However, an examination of Jewish armed resistance in the historical context of the Holocaust reveals the terrible trap in which those who desired to resist found themselves. They were faced with a world of “choiceless choices”, as characterized by Professor Lawrence Langer, a Holocaust scholar. 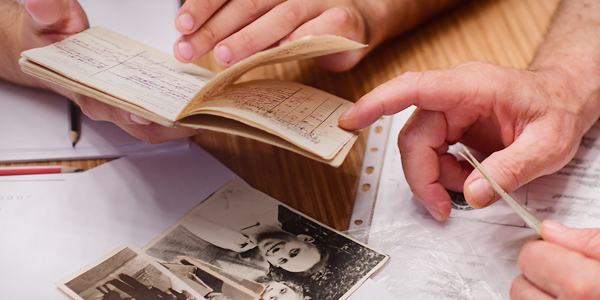 In the crushing reality of life in the Holocaust, decisions were made between one abnormal result and another, in what was always a lose-lose situation. As such, would-be resisters found themselves facing difficult decisions: should they resist when such actions would endanger their own families and communities because of the Germans' use of collective punishment? Should they resist in the face of opposition by the Judenrat, and the adults in general? Should they resist when financing a revolt meant that monies that could have been used to save Jews hiding outside the ghettos would have to be spent on weapons? Should they resist if by doing so they would have to desert their own families? This article will summarize some of the major dilemmas faced by those who considered armed revolt. Those who attempted armed resistance were not just risking their own lives – they risked the lives of those around them. When one Jew tried to escape or rebel, the Germans often punished ten Jews, twenty Jews or an entire community, according to their whim. Collective punishment was a tangible and real threat, and it served the Germans' purposes by paralyzing the will to act and directly affecting decisions regarding armed action. It was difficult to think of armed uprising when family and friends would bear the brunt of any punishment meted out if plans to rebel were discovered. Every day the Germans took everyone in the ghetto to the main square of the town… The Germans would count everyone and if someone was missing, the German would threaten to kill a number of Jews for every Jew that had fled from the ghetto. The pressure from the community on this group of 15-20 youths was immense. The community was frightened to death that the moment one of these youths, never mind 15 of them, went to the forest and Germans counted the Jews the next day and found one missing, that all those who were left behind would suffer. For this reason there was incredible pressure from the community on this group for them to cancel their plans to go to the forest; to just sit quietly and hope things would work out…. This, then, was the first "choiceless choice" made by those who took the path to armed resistance: for any act of resistance, German reprisals were directed against their communities, their families, their friends. In order to revolt against the Germans, it became necessary in certain of the ghettos for the resistance groups which were organizing to challenge the power of the established ghetto authority, the Judenrat and the Jewish police. The Judenrat in many cases thwarted the underground resistance movements by continually reassuring the population in the ghettos that all would be fine if they just cooperated with the Germans, as was the case in Bialystok, for instance. This is understandable if we remember that the mandate of the Judenrat was to obey German orders. Many members of the Judenrat, until the end, were convinced that they could negotiate with the Germans – the Germans, in turn, did much to foster this deception. As such, the Judenrat in many cases labored under the completely mistaken impression that the Germans would behave logically and that, since the Jews were their workers, they would never squander their work force by murdering it. Such things defied logic, and could therefore not be true. In Vilna, 60,000 Jews were taken away and disappeared, beginning in the summer of 1941. Rumor had it that they had been murdered en masse in Ponary, a nearby forest. These rumors reached the Judenrat. Information was available to the Judenrat because six women who had been wounded by gunfire in Ponary managed to escape and to return to the Vilna Ghetto hospital. However, the information was kept secret, whether out of fear for the women's lives, to prevent panic among the general population, or because the Judenrat did not believe the Nazis could or would kill all the Jews of Vilna. Thus, for the first few months of systematic murder in Ponary, the Jews of Vilna believed that the thousands of kidnapped men had been taken to work. They shall not take us like sheep to the slaughter! Jewish youth, do not be led astray. Of the 80,000 Jews in the "Jerusalem of Lithuania" (Vilna), only 20,000 remain. Before our eyes they tore from us our parents, our brothers and sisters. Where are the hundreds of men who were taken away for labour by the Lithuanian "snatchers"? Where are the naked women and children who were taken from us in the night of terror of the "provocation"? Where are the Jews [who were taken away on] the Day of Atonement? Where are our brothers from the second ghetto? None of those who were taken away from the ghetto has ever come back. You who hesitate! Cast aside all illusions. Your children, your husbands, and your wives are no longer alive. Ponary is not a camp – they were all shot there. Hitler is scheming to annihilate all of European Jewry. The Jews of Lithuania were tasked to be first in line. Let us not go like sheep to the slaughter! It is true that we are weak and defenseless, but resistance is the only response to the enemy!.. This proclamation represented a turning point in an understanding of the situation and how to respond to it. The idea of resistance was disseminated from Vilna by youth movement couriers, mainly women, to the ghettos of Poland, Lithuania and Belorussia. [W]e wanted to strike a blow at the Judenrat and its police force, the accomplices to the extermination of tens of thousands of Jews. We wanted to put fear in their hearts. We wanted everyone to know that from now on there would be reprisals for every criminal act committed against Jews. We knew that the Germans could not find us without the help of Jewish informers and collaborators….Our reasons for executing these two collaborators and German henchmen were explained on wall-posters that we pasted throughout the ghetto. We warned that the Jewish Fighting Organization would avenge any crime committed against the Jews. 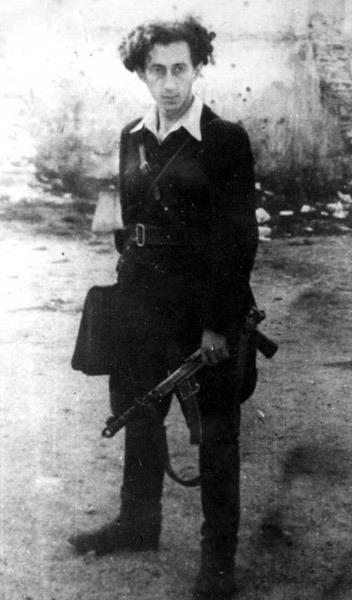 The fact that the ZOB in the Warsaw ghetto successfully challenged the authority of the Judenrat and the Jewish police, and rallied the ghetto population around the resistance organization instead, explains to a great extent, the success of the uprising in Warsaw when it finally came in April 1943. The fighters encouraged the ghetto population to fight back however they could, even passively just by hiding and preventing the Germans from deporting them. As such, the fighters were not the only ones to stand up against the Germans; approximately 50,000 Jews who remained in the ghetto joined the fighters in the struggle by hiding in bunkers underground and refusing to cooperate with the Germans when they came to clean out the ghetto. This ultimately made things much more difficult for the Germans. Another "choiceless choice" involved how to procure and pay for weapons. The decision to opt for armed combat necessitated procuring weapons, yet obtaining weapons during the Holocaust was a nearly impossible task. Incredible courage, quantities of money, and connections with non-Jewish members of the underground were essential in order to obtain weapons. However, even if these preconditions were met, they were not always enough. Even when the members of the underground movements had weapons, in most cases they did not know how to use them. Ultimately, the youth movement fighters succeeded in obtaining only a very small number of weapons. Large sums of money were needed to purchase weapons. It cost millions of zlotys to arm five hundred fighters. In the beginning we set up a sub-committee to solicit contributions under the aegis of the Coordinating Committee. When this proved insufficient, we started to impose taxes. We began with the public organizations, the Judenrat treasury and the ghetto bank, which was guarded by Polish policemen. One fine day we went in with pistols and took all the money from the bank. We emptied the Judenrat treasury in a similar manner. Later on, when these funds proved to be insufficient, we levied taxes on rich Jews, particularly those who maintained ties with the Germans. It went very easily at first. We would send a notice from the Jewish Fighting Organization: "You are required to pay, etc.," and we would receive the money straight away. They obviously thought it was the fearsome gentiles who were demanding the money. When they learned who was really responsible they said, "Yiddishe gaslonim (Jewish thieves), they certainly won't impose any severe punishments," and they refused to pay. Although we knew only too well that all the Jews would eventually be murdered and their money stolen, we could not kill Jews for not fulfilling their obligations. Preserving the high moral level of our fighters was always a primary consideration for us. This was not the only moral conundrum. The large amount of money required for the purchase of weapons could have been used to ease physical suffering of ghetto residents, or to support those Jews who had escaped the ghetto and were living in secret on the "Aryan" side of a particular city. In other words, the members of the youth organizations often had to decide between using money to procure weapons or to secure food and shelter – another “choiceless choice.” Every decision created a new dilemma. [Krall]: How much did you have to pay for a revolver? [Edelman]: Between three and fifteen thousand [zlotys]. The closer to April , the greater the cost: market demand was growing ever larger. [Krall]: And how much did you have to pay for hiding a Jew on the Aryan side? [Edelman]: Two, five thousand. Different prices. It depended on whether the person looked Jewish, whether they had an accent, whether it was a man or a woman. [Krall]: That means that for a price of a single gun it would be possible to hide a person for a month. Or perhaps two people, maybe even three. [Edelman]: It was also possible with a gun to ransom a Jew from a szmalcownik [Poles who would blackmail Jews in hiding or trying to pass as Aryans, agreeing not to turn them into the Gestapo for a fee]. Often, another "choiceless choice" that had to be made by the fighters involved the knowledge that by participating in armed resistance, they would have to abandon their families. Abba Kovner was one of the outstanding figures among the partisans in the forests of Lithuania. Yet, even though he was a commander in the Vilna Ghetto underground, Abba Kovner did not succeed in saving his mother – he could not take her to the forest with him, and she was forced to remain behind in the Vilna ghetto. She was murdered at Ponary. Often, powerlessness and the inability to save parents and siblings resulted from these difficult decisions, and they exacted a heavy price, even years later. Abba Kovner went on to become an acclaimed Israeli poet after the Holocaust and his aliyah (immigration) to Israel, but his inability to save his mother continued to haunt him. In some of his poems, Abba Kovner describes the blatant contradiction between his image as a fighter, a partisan and a leader, and his failure to save his mother. I’ll be back. And they will call to me, Savior. Armed I’ll be back. Seated on a white horse. Not a white horse and not a savior! Like a mole, I’ll return to every threshold. Brothers, he said, I showed you the way! A gloomy and narrow lane of life. My mother didn’t say anything. From my journey. The forest, the forest! An examination of the “choiceless choices” that faced would-be resisters makes each and every manifestation of armed resistance that much more worthy of respect, and that much more surprising. In comparison to the moral dilemmas faced by young people, often teenagers, who attempted to resist a power much greater than themselves, picking up weapons may have been the least difficult part of resistance. Understanding the “choiceless choices” that faced the resisters clarifies for us the overwhelming odds against resistance. It becomes much easier to understand the decision made by the majority of the Jews in the ghettos not to resist.